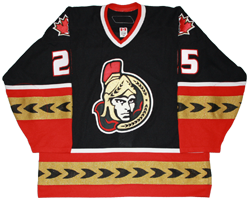 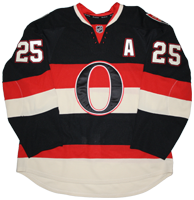 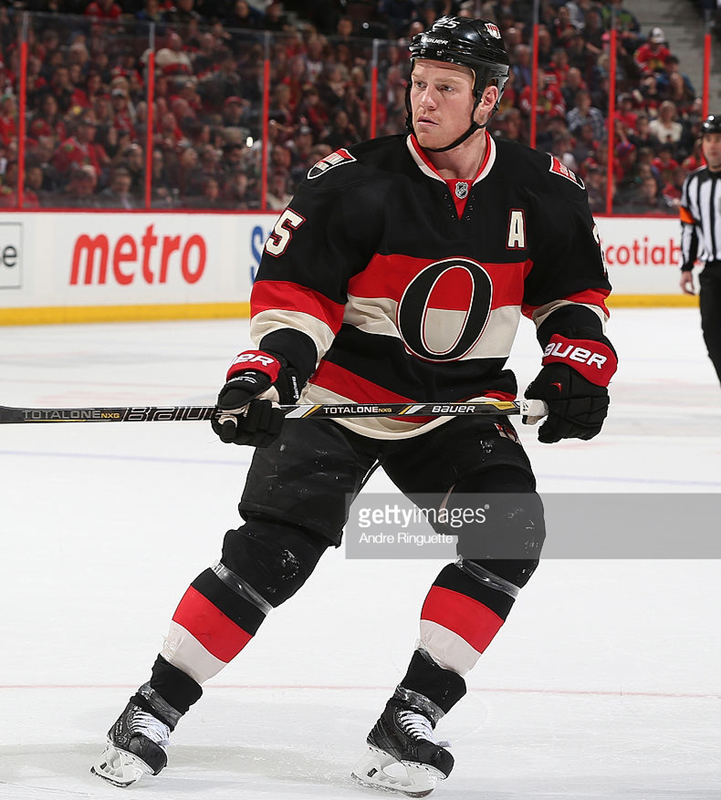 This jersey was worn by Chris Neil of the Ottawa Senators during the 2013-14 season. 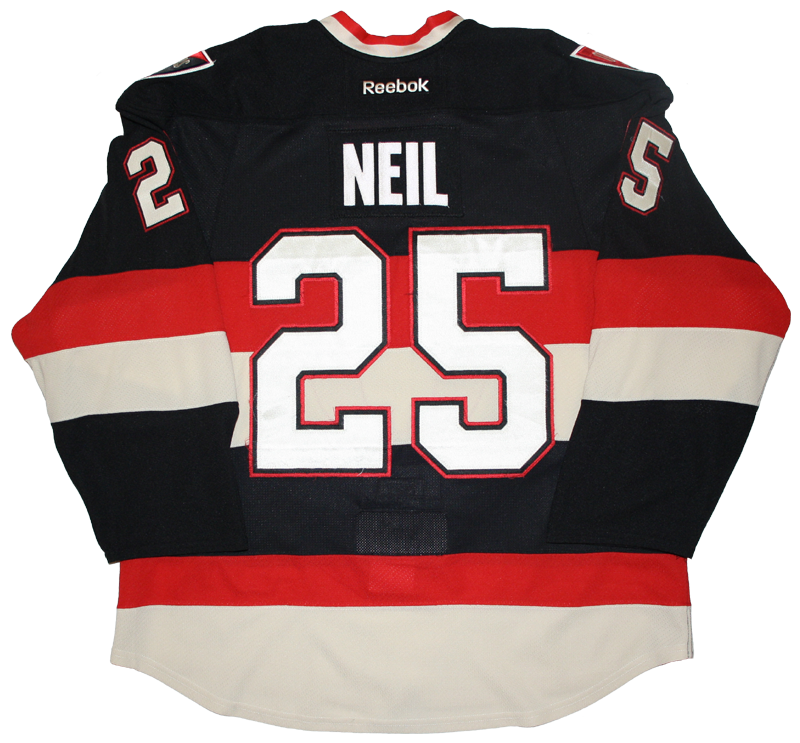 Neil wore this jersey in 4 games between January 30 and March 28, 2014. 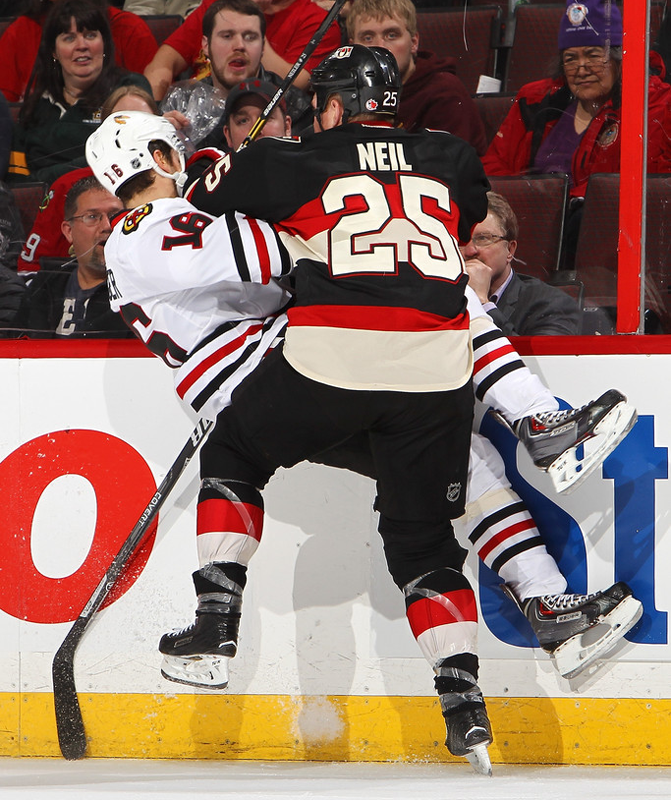 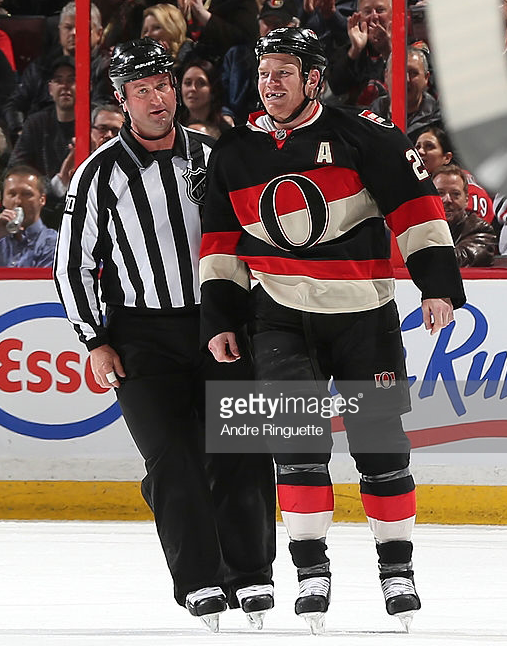 Neil had a combined 23 penalty minutes in those games and fought Brandon Bollig of Chicago on March 28.